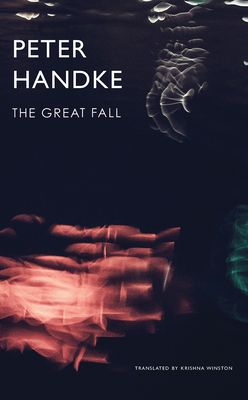 The latest work by Peter Handke, one of our greatest living writers, chronicles a day in life of an aging actor as he makes his way on foot from the outskirts of a great metropolis into its center. He is scheduled to receive a prestigious award that evening from the country’s president, and the following day he is supposed to start shooting for a film—perhaps his last—in which he plays a man who runs amok. While passing through a forest, he encounters the outcasts of the society—homeless people and migrants—but he keeps trudging along, traversing a suburb whose inhabitants are locked in petty but mortal conflicts, crossing a seemingly unbridgeable superhighway, and wandering into an abandoned railyard, where police, unused to pedestrians, detain him briefly on suspicion of terrorism. Things don’t improve when he reaches the heart of the city. There he can’t help but see the alienation characteristic of its residents and the omnipresent malign influence of electronic technology. What, then, is the “Great Fall”? What is this heart-wrenching, humorous, distinctively attentive narrative trying to tell us? As usual, Peter Handke, deeply introspective and powerfully critical of the world around him, leaves it to the reader to figure out. Peter Handke was born in Austria in 1942. His works include the novels Short Letter, Long Farewell; The Left-Handed Woman; Repetition; Absence; and the play Till Day You Do Part; Or A Question of Light, also published by Seagull Books. Krishna Winston, professor and chair of the German Studies Department in the Wesleyan University, is the principal English-language translator for the works of the Nobel Prize-winning German author Günter Grass, she also translated Peter Handke’s Don Juan.